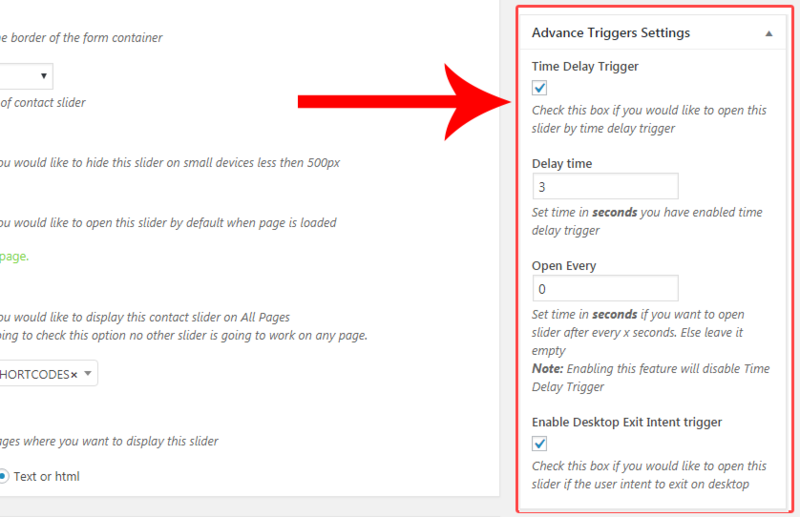 With this AddOn you get more control over your sliders including container and tab..
You Enter the Time For Trigger in second. Set the time in second for open slider . How to display Gravity forms short code in WP contact slider?